Chef Craig Flinn is a highly regarded chef and entrepreneur (Chives Canadian Bistro, 2 Doors Down), but he is also one of Canada’s most prolific cookbook authors with four current titles to his name and another on the way. His cookbooks help give food regional context, and help capture a sense of place along with awareness of culture. Come hear Craig as he describes the process of creating cookbooks that truly reflect the author, the food they like to cook and the regional uniqueness that inspires them. This session will be moderated by Devour! Programmer and food journalist in his own right, Simon Thibault. Hailing from Halifax, Craig Flinn is noted as a supporter of the local food movement in Nova Scotia. 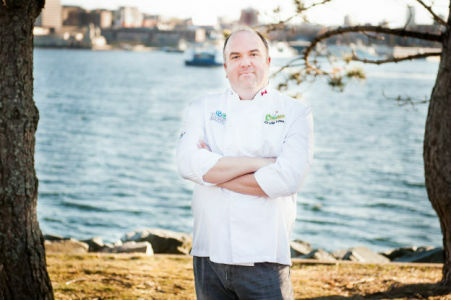 Graduating from the Culinary Institute of Canada in 1997 (following a Bachelor of Arts degree in geography from Saint Mary’s University), his apprenticeship spanned over five years, working in Europe, Canada and the U.S.
Craig opened Chives Restaurant in 2001, developing a reputation as a solid supporter of local food producers. The restaurant menus are based on seasonal produce from local farmers, sustainable seafood, and artisan cheese and meat producers, with the core menu changing every six to eight weeks. In 2013, Craig opened his second restaurant, 2 Doors Down Food + Wine. Acclaimed as “your neighbourhood restaurant in the heart of downtown Halifax”, it shares the same vision as Chives and is committed to using locally sourced produces. Both restaurants have been recognized with numerous awards. Craig is the author or three cookbooks: Fresh and Local (2008), Fresh Canadian Bistro (2009) and Fresh and Frugal (2010). In 2012, he was named a culinary ambassador of Nova Scotia, an honour presented as part of the Taste of Nova Scotia’s Prestige Awards. Simon Thibault is a Halifax-based food writer, journalist, producer, and a James Beard Book Award judge. 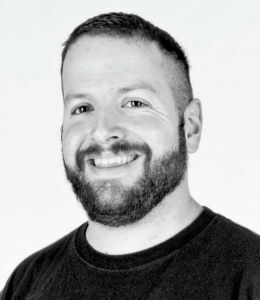 His work has appeared in The Globe and Mail, Xtra, Vice, The Coast, and Rustik Magazine. His summer radio series, “Assis Toi” was broadcast throughout the Maritimes on CBC Radio One.